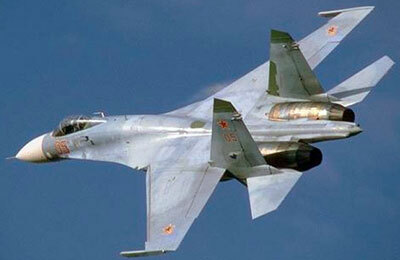 The Toyark › Military Toy News › 1/18 SU-27 Flanker & F-15 Eagle Under Consideration! 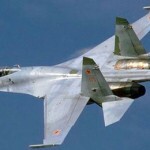 1/18 SU-27 Flanker & F-15 Eagle Under Consideration! As if the announcement of the 1/18 scale F-14A Tomcat wasn’t enough, JSI continues to impress and amaze with news of two other planes that they are considering for production. The F-15 Eagle & SU-27 Flanker are under consideration for production late this year, or early next year, in 1/18 scale. A 1/18 scale F-15 Eagle was rumored as early as this year, as well as an F/A-18 Hornet, the variant for the latter was never revealed. 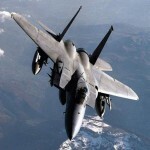 The F-15 we are most likely to see, is the F-15C model, however, could a F-15E Strike Eagle also be in the works? The SU-27 Flanker comes as a complete surprise. Long thought to be one of the planes in 1/18 scale that only exists in dreams. Apparently this dream may actually come true! Though the F-14A Tomcat will be the largest aircraft in 1/18 scale upon release, if JSI comes through with their SU-27, the SU-27 will be the largest aircraft in this scale. How bad do you want to see these? Make your voices heard! Click on the discuss button below to celebrate the news and join in on the speculation! JSI has the F-15 Eagle and SU-27 Flanker under consideration for production next year in 1/18 scale! Upon release, their F-14 Tomcat will be the largest 1/18 scale airplane toy ever made, however if the SU-27 comes through, it will take the record for largest plane in 1/18 scale ever! Click here for more info! M&C Toys already made a SU-27 for their Power Team Elite line. So far it is only being sold overseas. I'm sure by August Big Lots should have all the new vehicles from PTE. I'm going to need more pilots! Their's is joe scale....which is fine, but JSI's is true 1/18 scale...over 4ft long. Holy god I will find the room to put this thing somewhere! i have loved fighter jets ever since i was a kid and now jsi is building the largest production fighter aircraft ever with the f-14, f-15 and su-27. i have already pre-ordered the tomact and plan on doing the next two as soon as they are ready. Full Thread: Further Info: 1/18 F-15 Eagle SU-27 Flanker!